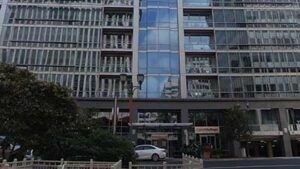 Gorove/Slade Associates, Inc. has provided services to Vornado Realty Trust (previously Charles E. Smith and now JBG Smith) in Crystal City, VA for over a decade. Our role as transportation consultant has been instrumental in the redevelopment and revitalization of this major mixed-used commercial and residential area. Comprehensive Parking, Pedestrian, and Traffic Analysis: Early in the redevelopment effort, Gorove/Slade completed a parking utilization study, circulation study, and garage operation study. In addition, the firm identified and evaluated pedestrian access issues, examining the overall traffic and pedestrian circulation for the area, focusing on access to retail and commercial facilities, the function of through streets, and options for commuter traffic. Traffic Signal Designs. The firm completed signal plans for the intersections bounded by 15th Street to the north, 23rd Street to the south, Route 1 to the west and Crystal Drive to the east. Property Repositioning/Rezoning Support. 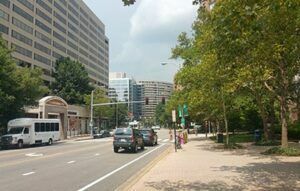 Gorove/Slade has supported the redevelopment and repositioning of Crystal City assets by providing services such as traffic impact analysis, parking layout design and management plans, Transportation Demand Management (TDM) planning, and construction traffic management planning.